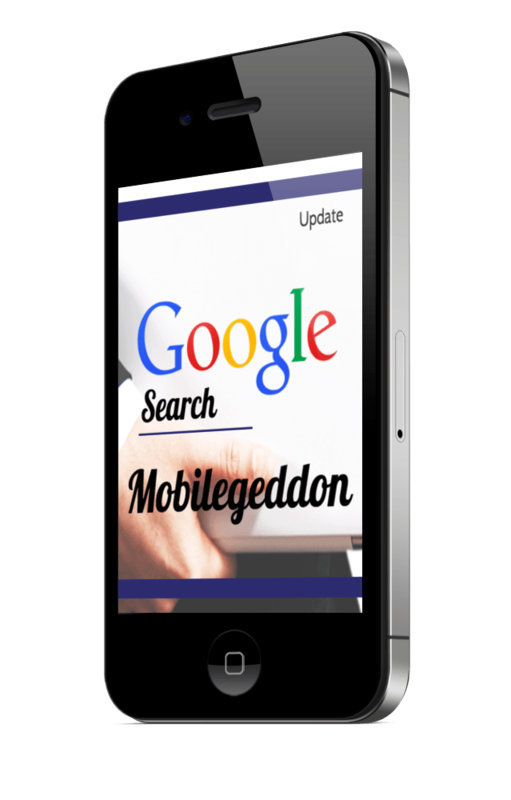 >> Are You Ready for Google’s Mobilegeddon? The Update that Changes Everything Arrived Today. Are You Ready for Google’s Mobilegeddon? The Update that Changes Everything Arrived Today. April 21, 2015 Today’s the day! Google has made a major update to its mobile search algorithm that changes the order in which websites are ranked when users search for something from their mobile devices, more specifically from their phones. This new algorithm favors mobile-friendly websites which meet certain criteria and ranking them higher in search. Websites that fail to meet the mobile-friendly standards will get demoted. Approximately 60% of online traffic originates from mobile and Google wants users to have an optimal experience when they click on a link, regardless of the way they are accessing the Internet. Google gave web developers and businesses ample warning by announcing these upcoming changes in February, giving everyone almost two months and ample information to make any changes necessary to keep their sites relevant in mobile search results. Regardless, today’s update is anticiapted to cause a major ranking shake-up. It has even earned the nickname “Mobilegeddon” due to apocalyptic effect it could have on millions of websites. Businesses that depend on people finding them through localized search, local restaurants or service providers, for example who will be found by typing a service and location into Google on their phone (i.e. “auto repair Denver”) will see a decrease in foot traffic as a result of this update, if they are unprepared. Any business could be affected, not just the smaller companies. 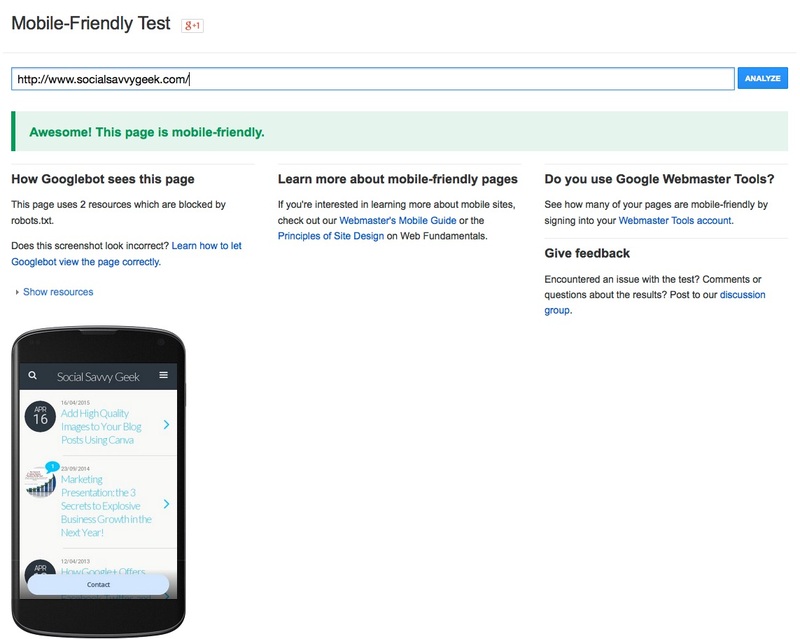 Is your site mobile friendly? Check here to find out. It’s simple and painless. Don’t delay. If your website isn’t mobile friendly, then you have some work to do! You may be happily surprised to find that your site is just fine the way it is, especially if (like us), you had properly set up a simple self-hosted WordPress site. We’d love to hear your thoughts and experiences about preparing for this update. Please let us know… Was your site mobile friendly? If not, is it now? Be part of the conversation. Share! What Is the Best Timeline for Promoting Your Live Event? As Founder and CEO of Social Savvy Geek, LLC., Laura Pence Atencio is passionate about helping entrepreneurs and business owners meet and exceed their goals. She is committed to providing the most engaging and effective strategies in online marketing by combining traditional business networking and marketing fundamentals and best practices with current and engaging online marketing methods and tactics. Laura has worked with some of the top names in Internet Marketing and has consulted with entrepreneurs, businesses, and nonprofits in the US and abroad. She is the author of the popular article, 10 Tips to Build Your Twitter List Now, which has been published both online and in print in the US, Australia, and New Zealand. A lifetime student herself, Laura has achieved certification as a Computer Administrative Specialist at Beta Tech and has studied Art Education, History, Art History, and Criminal Justice at Virginia Commonwealth University. She is fascinated by learning, sharing and growing, not just in business, but in life. She participates in US Masters Swimming and has ranked in the top 25 nationally in her age group in both the 50 and 100-yard backstroke. She served in the VA Army National Guard as a Combat Engineer in the 229th Engineer Battalion. She never meets strangers, only friends not yet made– an attitude that serves her extremely well in the networking world, both online and off. She currently lives in Denver, CO with her husband, 3-year-old daughter, and German Shephard.